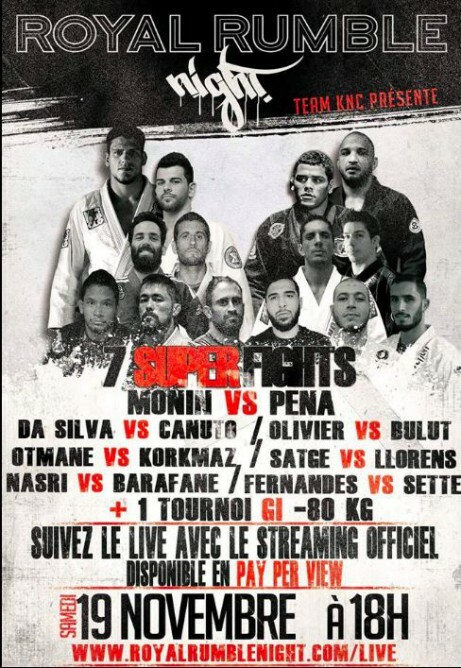 Get ready for a major event in the European BJJ scene! Royal Rumble Night which will be held this Saturday Novenber 19th in Paris, France in a cinema. 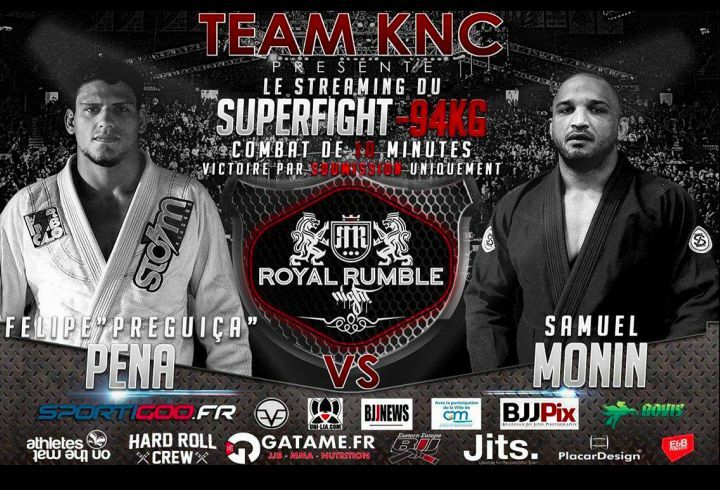 The main event will feature Felipe ‘Preguica’ Pena vs the best French black belt Samuel Monin. There will also be Jamie Canuto vs Julien Dasilva. There will also be a match between Switzerland’s Ilke Bulut and France’s Thibault Olivier.